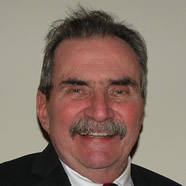 John Touhey has been a resident of Solebury Township and a member of the Solebury Township Historical Society for many years. 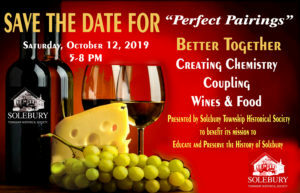 The Solebury Township Historical Society was formed in 1981. However, after the passing of the founder, Georges Duval, the archives of the original Society languished for almost a decade in the attic of the Township offices. They were rescued by John Touhey. His efforts to preserve the records of our history evolved into what is now our present Solebury Township Historical Society. In 1998 John called a meeting for Solebury Township residents where a brief history of the original Solebury Township Historical Society was related, followed by an explanation of the hopes and future plans for a revitalized historical society. It was received with a great deal of enthusiasm and soon a new board was formed with John Touhey as president, where he remained for 5 years. While serving as president, he was also chairman of the 300th anniversary celebration of Solebury Township and all the many events that were included. Over the succeeding years, John has continued to be a valued and supportive member of the Historical Society. He has planned two dinners for the society, raising approximately $40,000. John was chairman of the Thompson Neely House Project to create a center for independent seniors and a community center for small events, which is pending. He was a member of Solebury Township’s Historic Architecture Review Board for 11 years and chairman for 10 years. John’s commitment to Solebury Township is without equal. He is an asset to the community.